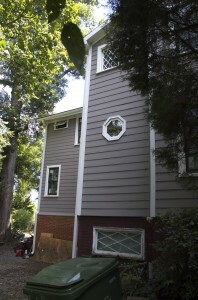 So my parents have a house outside of Charlotte that has been sitting half restored for 2-3 years now. Since I am currently not working and have toyed with the idea of restoring houses for a living (or at least side income) I figured I would help them out. When my folks bought the house there was a huge roof leak, and major termite damage. 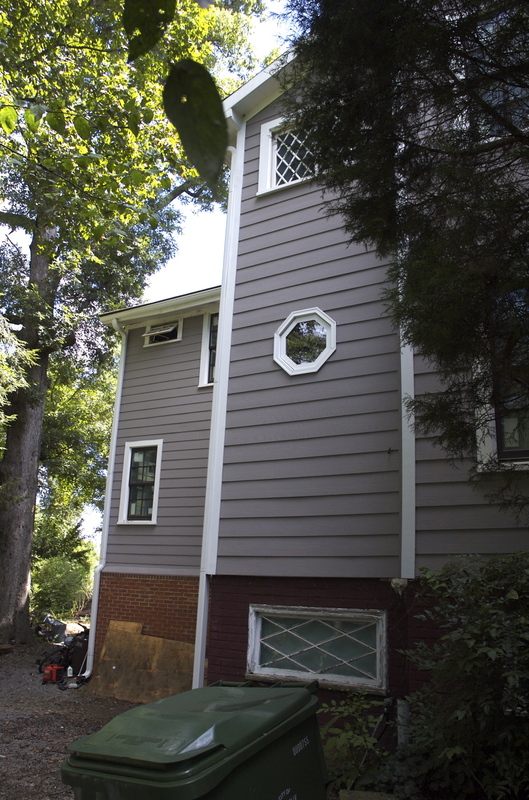 They hired a contractor to secure the framing of the house, put on a new roof, replace all the siding, and install new windows. I have no photos of the before, but it has been quite the transformation. After all of this had taken place nothing has been done for years.. This is house the house looks currently from a few different angles. 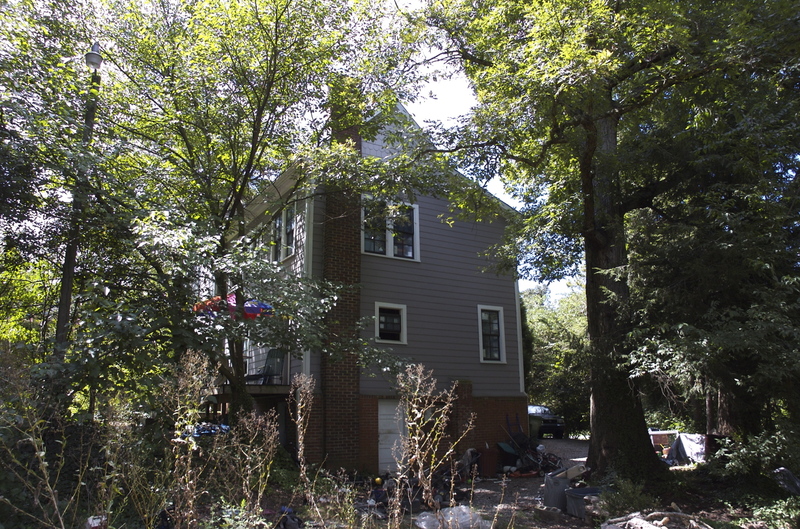 It was mostly built in 1910, and had the porch enclosed at some time later. I am not entirely sure of the houses history but as I learn more I will post it here. 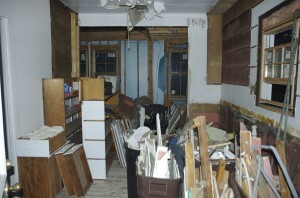 I went down to examine the house a few weeks ago, and came up with a project plan. It will be at least a 2-3 month project most likely, there is a good deal of major work to do. The bathrooms have to be completely gutted and replaced, the same with the kitchen. 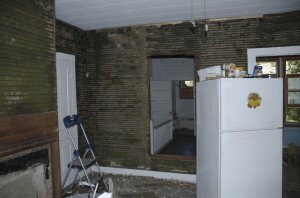 The walls need a considerable amount of work, there are some sags in the floor. 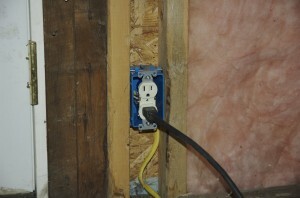 Only a small amount of the house is wired still (i.e. no electricity). I won’t get into specifics, but you will see over time how the project progresses and what all has been done. 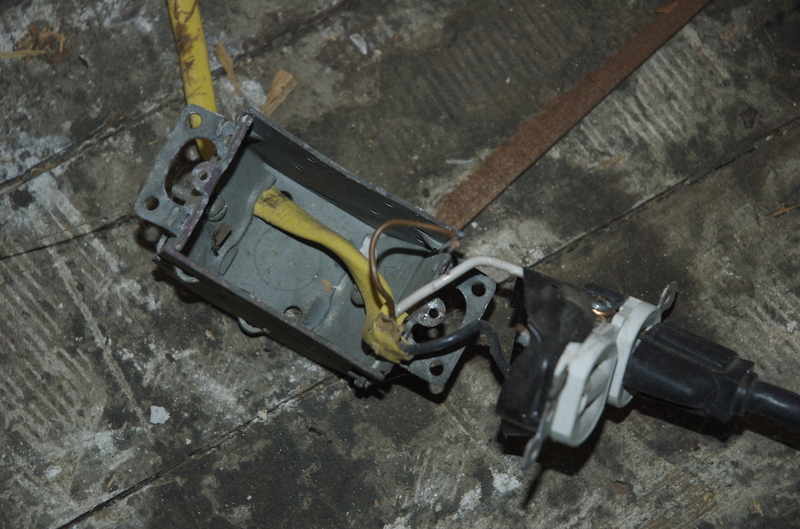 I went down to work on the house last week for a few days and while I was there did a little bit of demolition work, and cleaned up a little sketchy wiring that was in the house.. 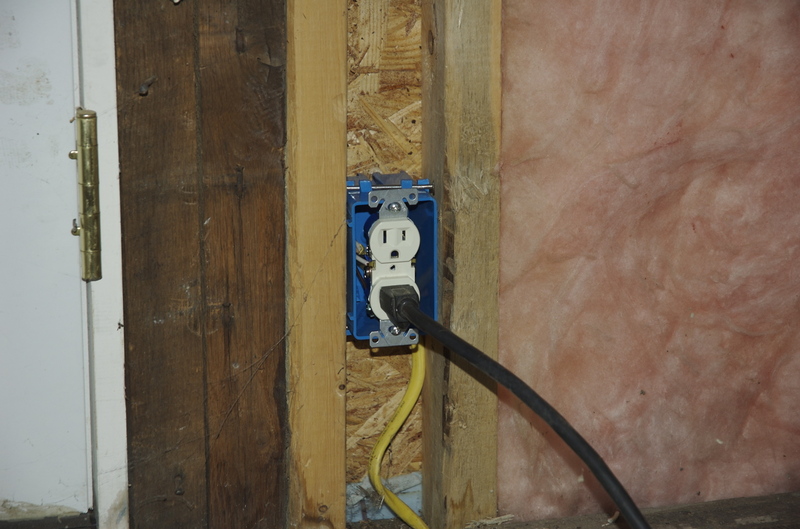 Scary outlet before and after. There was a fridge plugged into it too with no safety ground. 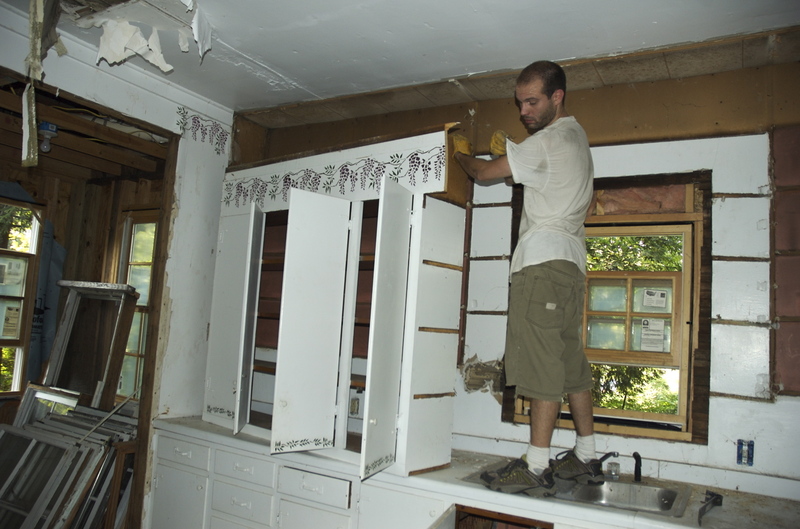 I also started demoing the badly messed up drywall in the dining room. 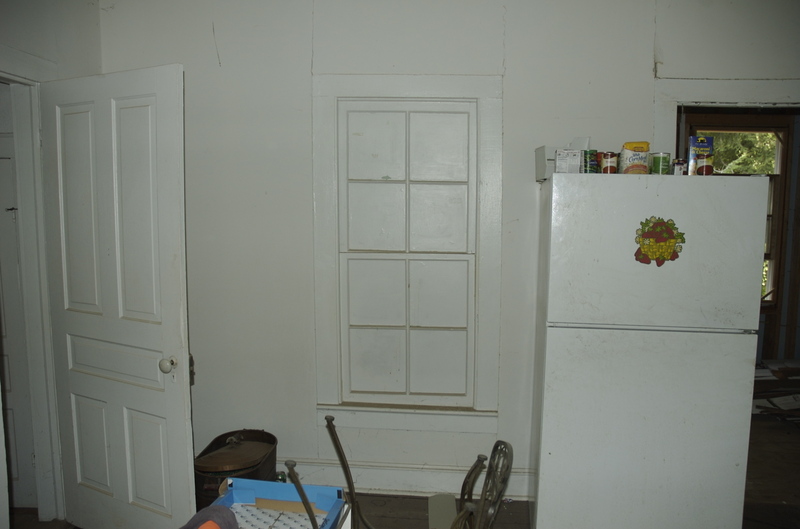 The dining room once went to a porch that has been enclosed so I removed the window that went into the hallway. Under the drywall the original beadboard walls remain. I am not entirely sure of their condition, and how easily they can be cleaned up yet. 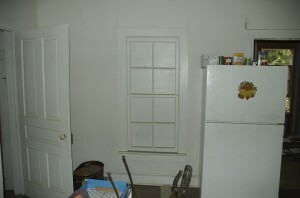 Dining room window / walls before and after. I also started demo in the kitchen. 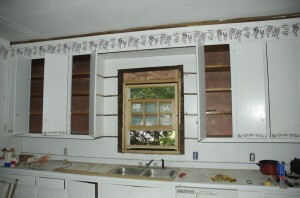 My parents helped with some of this part as I am not really strong enough to maneuver cabinets alone. The drywall still needs to come down as of now, but some major progress has begun on clearing out the kitchen so get to a clean pallet. Kitchen before how it looked. 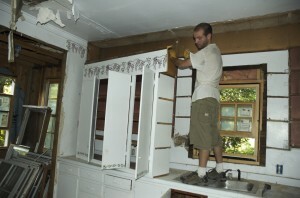 Me in the process of removing one of the upper cabinets, and a huge pile of demoed debris. 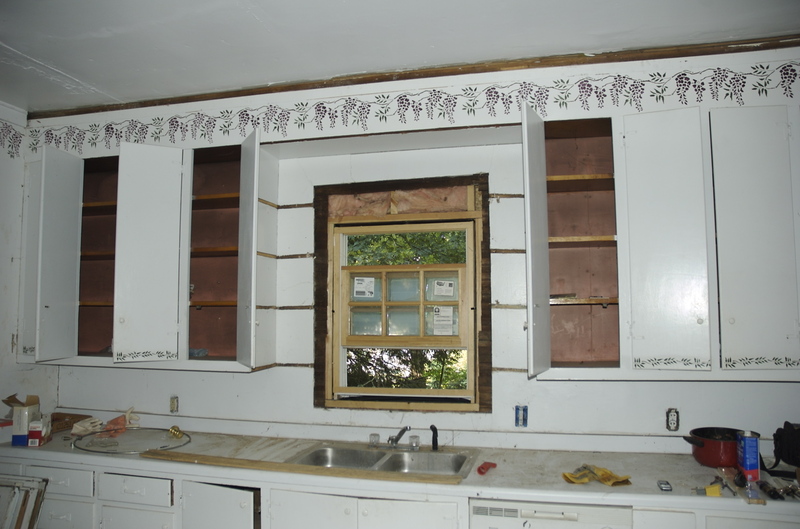 The lower cabinets were not able to be salvaged as they were built in place; I ended up taking them apart piece by piece with a wrecking bar and a hammer. I am not sure as to the schedule for when I will get back to work yet as there are some other difficulties with the property, but I will post more as more work goes on.